Love is the first gift you give your baby, the second gift is TummyTime! Select a TummyTime!™ spot in your home (stock a basket with blankets, burp rags, and fun toys like the Manhattan Skwish toy, the 4-inch Oball rattle, and a baby mirror). It may be helpful to choose a spot on a carpet, area rug, yoga mat, or padded foam floor. Place a clean blanket on the floor and lay your baby on his or her back to begin. Engage your baby in back and forth interaction. Use eye contact, cooing, and make different facial expressions. You are playing first to warm your baby up for tummy time experiences. Be available for eye gaze as much of the time as possible. Slowly roll your baby from their back to their tummy. It can be helpful to roll baby to his or her side first, and wait until it flows to roll into tummy time position. You can sing or talk, make gentle playful noises, offer a toy for looking at, etc, to keep baby engaged during TummyTime! ™. When your baby starts to communicate they are ready to transition out of tummy time, by vocalizations or movements/facial expression. Gently tuck one arm underneath the chest and roll your baby to his or her side and then back. It is supportive and loving to pick your baby up, hug him or her, and give lots of encouragement by holding baby close to your heart. Reassure your baby, “You did it!” “Wow, you are amazing on your tummy!” etc. Then repeat for 5-15 minutes, depending upon your baby’s abilities. 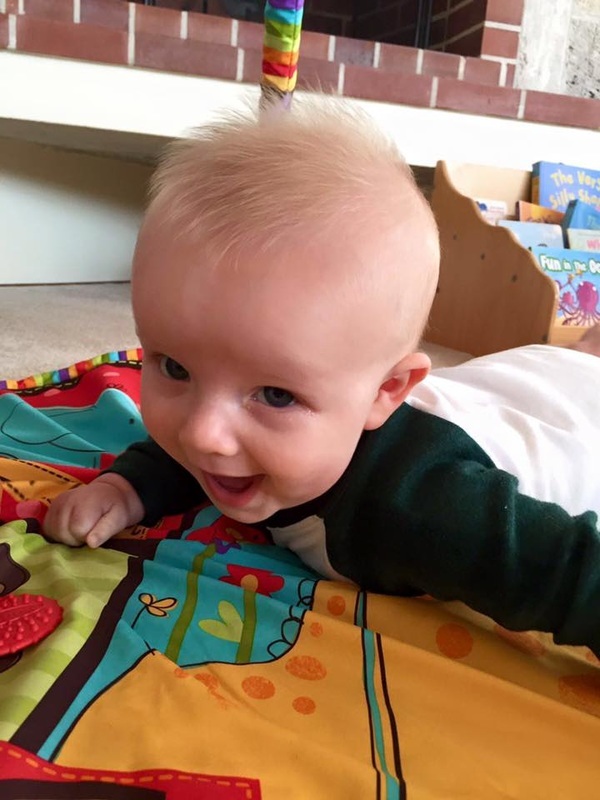 6-8 months old – the majority of waking hours will be spent in tummy time or sitting/learning to sit. Babies should learn to sit before they learn to stand. The KEY TO SUCCESS with this Method is the repetition and consistency, which help baby's nervous system feels safe and supported. It's best to do the TummyTime! ™ Method everyday, several times a day to build rich brain connections. This promotes spending time quality time playing together, as well as nurturing developmental and regulatory skills. If your baby does not seem to like tummy time, don't stop offering this position. This is a good time to figure out WHY your baby is uncomfortable lying on his or her tummy. With the TT! Method we go into "problem solving" mode and figure out a way for baby to enjoy this vital developmental position. What makes tummy time more difficult for some babies? There are many reasons for this, but to summarize briefly, the soft tissue structures require mobilization in tummy time, and this requires flexibility and optimization of tongue/throat and shoulder girdle musculature, areas which often are tight and restricted for these babies. Babies, especially in the first twelve weeks of life (the fourth trimester), need your help regulating/calming themselves. Babies are experiencing lots of sensory input from their body, the environment and from caregiving experiences, and this includes tummy time. This TummyTime! Method ensures that baby feels safe and ready to play in tummy time! TummyTime! classes and private sessions are loaded with information to help you understand baby's needs and behaviors, especially when they do not seem to enjoy the experience.